What a great development; just such a shame it’s not river facing although the man made creek is very pretty. Rachel, from St George, who showed me round was very knowledgeable, polite and professional. The flats that are coming in the new phase are going to be spectacular but I would not want one facing the phase that is yet to start. I saw a 2 bed & a 3 bed… both the same price which was a little strange but both beautiful and overlooking the creek which is what you’d want. The new facilities are over a year away which would mean the one gym & spa will be very busy for the 800 flats in the mean time. A great location just off the Kings Road yet not too busy. Lots of bars & restaurants – a really great location. Chelsea Creek is a development for those looking for access to the Kings Road and the amenities of Fulham – it is set in its own enclave just moments from Imperial Wharf train station which means that it’s popular with City workers who can relatively swiftly reach their desks in around half an hour. The trains do get busy though as many Fulham residents have caught on to the ease of the commute. A real selling point for Chelsea Creek is the 24 hour concierge – nothing is too much for the team and they will ensure that each and every resident is well catered for. The building is also extremely well managed and the common parts are beautifully clean and presentable. The residents’ only spa and gym is a real selling point too. The community feel is good but it doesn’t have as many shops and choice of restaurants on the doorstep as many other new builds tend to have. The one coffee shop Harris + Hoole close by tends to get busy during the week with local mums who are taking their kids to Gambados – a soft play centre extremely popular with families from all over South West London. 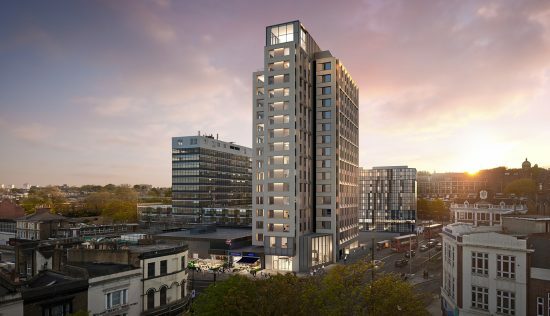 Proximity to the large drive in Sainsbury’s near Wandsworth Bridge is also a bonus as is the family friendly Harbour Club close by. 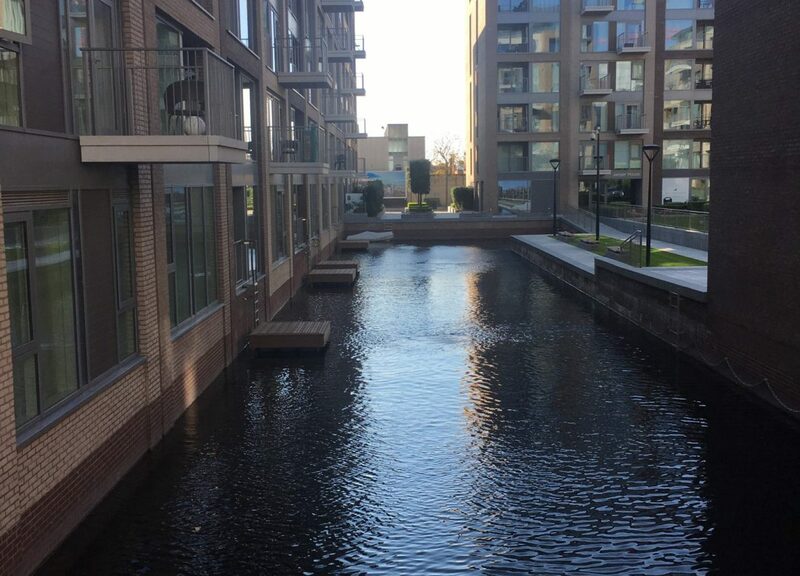 Overall Chelsea Creek does have many of the benefits of a new build and although is located in a ‘fringe’ Chelsea address it has many positive aspects which have caught the eye of both young professionals and families alike. There’s a uniqueness to Chelsea Creek \” developed by St George \” that stands it apart from many of its luxury counterparts in London. 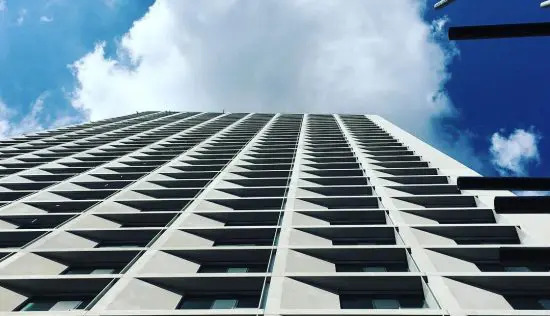 The development was designed by world-renowned architects, Squire & Partners, and was inspired by European waterside living, seen in cities like Amsterdam and Copenhagen. 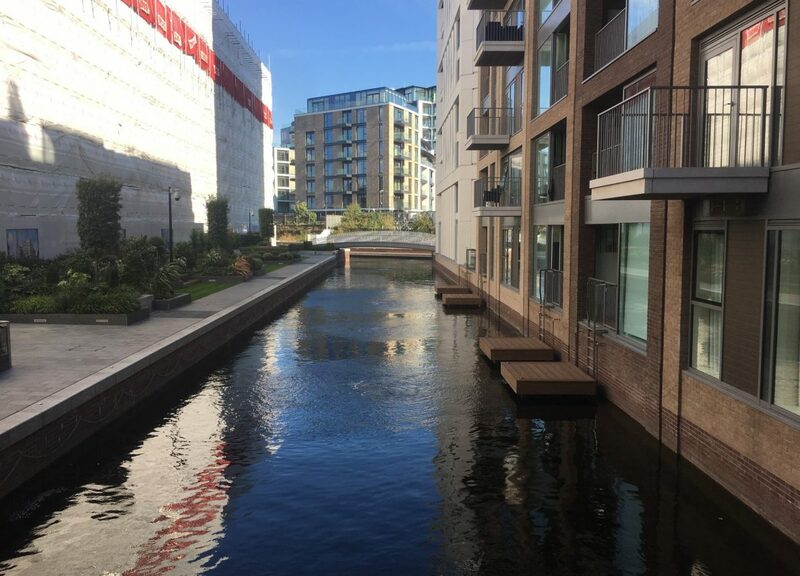 A series of waterways flow through the centre of the development, making it more than just a water feature but somewhere to keep a motorboat or canoe, and make the most of the dockside setting. Studios, 1, 2 and 3-bedroom apartments, along with some sizeable penthouses are available, ranging from around GBP900,000 up to GBP6million. In terms of price per square foot, this equates to around GBP1,625, which is substantially higher than the GBP921 average for SW6. While the development does sit alongside the Old Gas Works \” not the most attractive of neighbours \” it has many other attributes that will make it a popular choice to live or invest in. Location-wise, it’s situated in prime West London, walking distance from the stylish King’s Road with its vibrant restaurant and cafÃ© scene \” not to mention its line-up of high street and boutique stores. 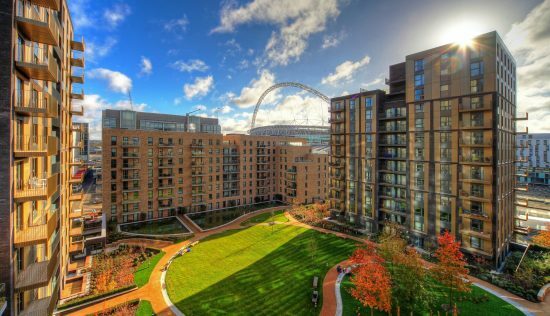 The nearest station is Imperial Wharf on the Overground, which is just one stop away from Clapham Junction. Fulham Broadway and Parsons Green, both on the District line are within easy reach, or if you prefer to jump in a taxi, there’s a dedicated rank right by Imperial Wharf station. 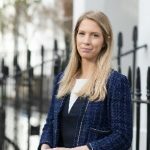 If schooling is on your mind, there are plenty of excellent establishments like Langford Primary School, William Morris Sixth Form College, and Hurlingham and Chelsea School close by, along with LSE for higher education. Within Chelsea Creek, residents can enjoy plenty of leisure activities to wind down after a hard day at the office. The Spa offers up an indoor heated swimming pool and Jacuzzi, Scandinavian-style sauna, steam room, treatment room and a fully equipped gym. Feature lighting and mood-enhancing background music will also help relieve the stresses of the day. Parking is subject to availability, but will come at a cost of GBP50,000. What’s more, a 24-hour concierge will oversee residents’ every need. Inside the luxury apartments, the interiors are chic, considered and contemporary. The kitchens are fitted with Siemens integrated appliances, including a full-height fridge freezer, dishwasher and wine cooler. The bathrooms feature a Villeroy and Boch bath, Sottini WC and basin, vanity cabinets and a heated towel rail. State-of-the-art technology is woven seamlessly into the apartments, with an integrated touch screen controlled audio and visual entertainment system, and Sky+HD installed with a one-year subscription. Penthouse buyers who are able to stretch the budget that bit further can expect 10-foot-high ceilings, and finishes like cool marble, walnut burl and bronze accents for a sense of grandeur. Colours are muted and restricted to the finer details like the artwork, and aspects like circular seating in the living room put the emphasis on comfort. Marble-finished bathrooms with rain showers and bespoke kitchens with Gaggenau appliances go a long way in justifying the steep price tags. 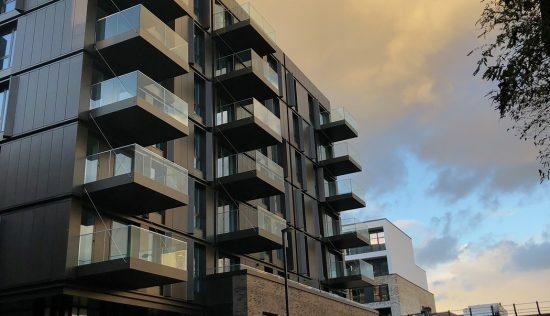 Chelsea Creek’s exterior has almost a soft feminine feel, in contrast to some of the capital’s more angular developments. The buildings rise to a modest seven or eight storeys in traditional brick, all with balconies or terraces at the top. Other developments in the area to consider are Lillie Square and Fulham Riverside. We do like our flat and the Chelsea Creek area but regret renting a ground floor. We thought the ladder to the floating deck would be fun but we haven’t really used it and instead have felt a little exposed with the footpath running past our balcony. If we had a flat a floor or two higher I think we would have used the balcony more as you are less looked in on by those walking by and our flat is a route many residents use to get to the station. The communal areas are great and the team here maintain the gardens and everything beautifully. We used to rent in Parsons Green and whilst we loved the area we found commuting anywhere a nightmare, the district line at 7.30am is just horrible. 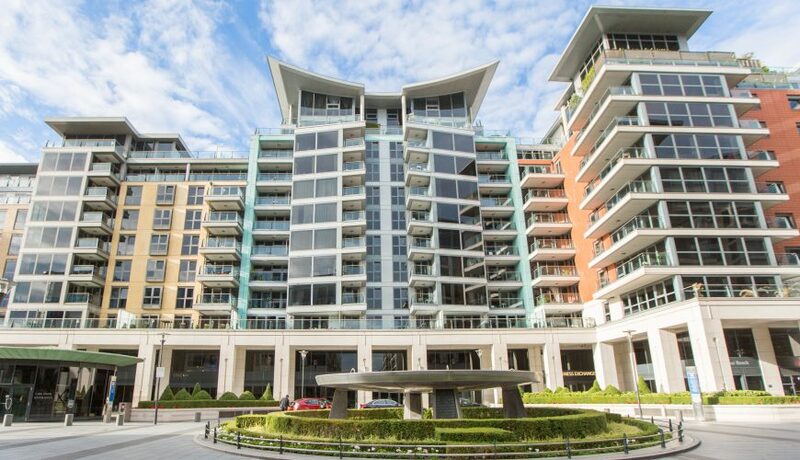 We have been renting by Imperial Wharf for 18 months – we chose the location because of the station. Our friends all live in the area but now we can connect into Clapham Junction or Shepherds Bush really easily and it makes such a difference on our morning commute. 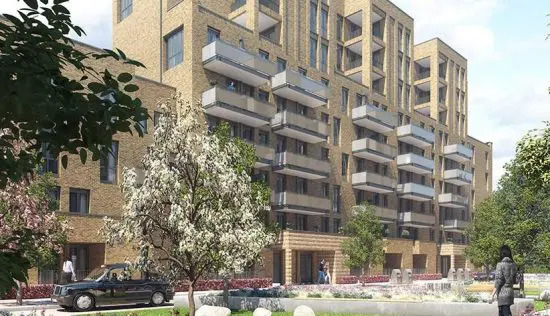 We have looked at moving to Chelsea Creek as development as a whole is pretty big and whilst we wouldnt have a river view (price not worth it) we would still have access to everything we want. 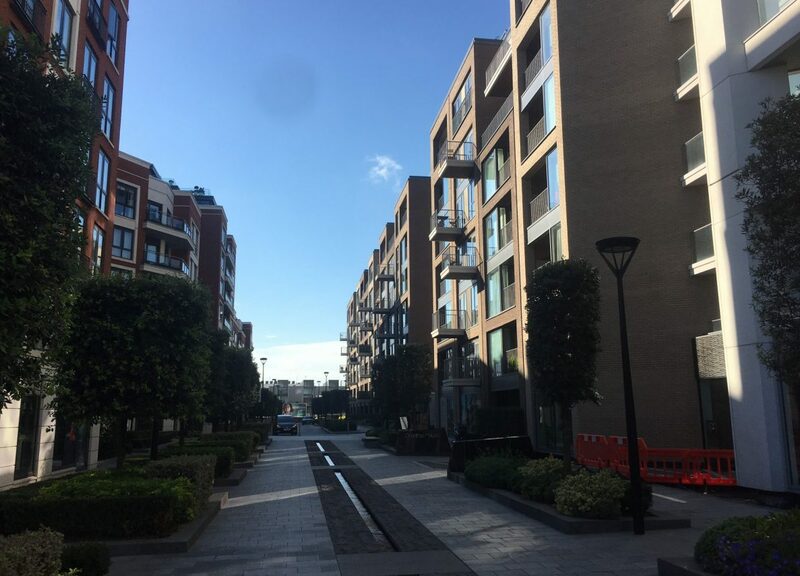 When choosing between Chelsea Creek and Imperial Wharf we found that on a similar sized one bed flat the council tax was less and there was a BIG difference in the service charge – look out for the extras – so we are probably going to move here. Mini Venice – sort of! I have a friend that lives here and their flat looks over the internal courtyard garden and creek and you often forget you are in London – when the sun is shining! There are lots of amenities and we are now looking to move here as our friends say the team here look after you – it is the little touches like Christmas wreathes and the thoughtfulness of the concierge team that really make this place feel special. The kings road, parsons green and the river are all on your doorstep it is beautiful. We are members of the Harbour Club next door which has wonderful facilities and a lovely pool, do use the spa services as the facials are wonderful.